Politburo member and head of the Party Central Committee’s Organisation Commission Pham Minh Chinh has affirmed that Vietnam wishes to further deepen the bilateral ties with the UK during a visit to the UK from November 14 to 17. In a meeting with Prince Andrew in London on November 14, Politburo member Chinh said that the bilateral relationship should be promoted in the spirit of respecting each other’s political regime, with political-diplomatic ties as the foundation, and economic-trade ties as the focus, while cooperation in culture, science, education and people-to-people exchange serves as a driving force. The two countries should also support each other’s stances on regional and global issues, he said. 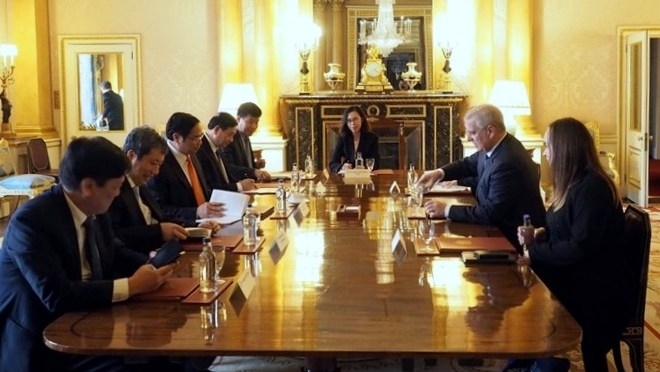 Prince Andrew supported and appreciated the Vietnamese Party delegation’s proposals regarding economy, national defence-security, external relations and the East Sea issue. He pledged to work for the effective development of bilateral ties in diverse areas, especially in promising fields such as science, education-training, culture, tourism and people-to-people exchange. While in the UK, the delegation also held working sessions with Minister of State for the Foreign and Commonwealth Office and Secretary General of the ruling Conservative Party Mark Field; member of Parliament for Caerphilly, Shadow Minister for Armed Forces and Defence Procurement and Chairman of the All-Party Parliamentary Group for Vietnam Wayne David; Conservative Member of Parliament and Prime Minister’s Trade Envoy Edward Vaizey; Conservative Member of Parliament and the Prime Minister’s Anti-Corruption Champion John Penrose and representatives from the House of Commons’ Committee of Public Accounts. 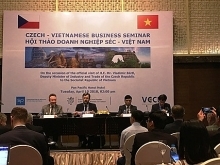 During the meetings, the two sides agreed to facilitate the exchange of high-level visits and optimise existing cooperation mechanisms, such as the strategic dialogue on diplomacy-national defence-security and the Vietnam - UK Joint Economic and Trade Committee, and continue to raise new initiatives on investment and tourism. On the East Sea issue, the two sides concurred with each other in the need to settle disputes by peaceful means on the basis of international law, including the 1982 United Nations Convention on the Law of the Sea, ensuring freedom, security and safety of maritime and aviation, respecting and fully abiding by diplomatic and legal process, while trying not to further complicate the situation. During the stay, the delegation visited the Karl Marx Memorial Library in London and held a working session with General Secretary of the Communist Party of Britain Robert Griffiths.